Based off the popular InWall Silver/15 Sub, it’s the perfect choice of prodigious bass and compact enclosure all designed for dedicated theaters using cloth wall systems. 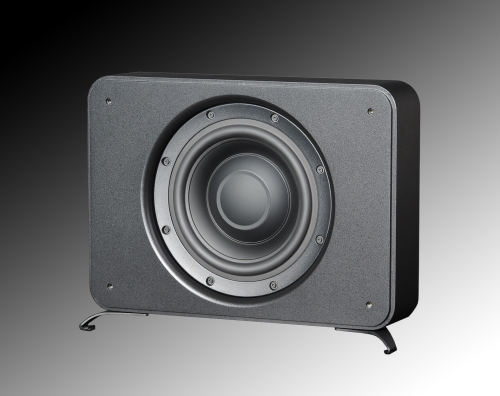 The OnWall Silver/15 Sub features a 700 watt amplifier, a long-throw, cast-basket 12″ driver, and the most structurally solid subwoofer enclosure available anywhere. 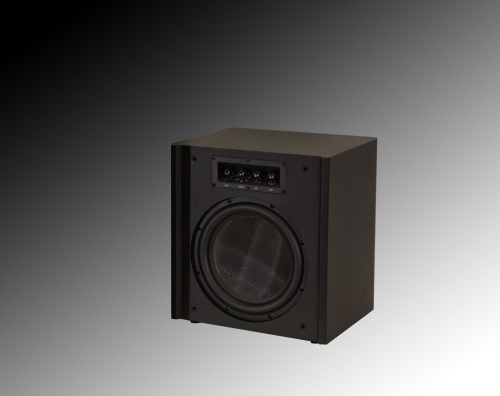 Now you can have serious bass–not the weak bass from conventional open-back “woofer” designs that lack extension, articulation, and output, but rather bleed unwanted sound into adjacent rooms. The new amps provide simple”plug-and-play,” and EZ set-up. 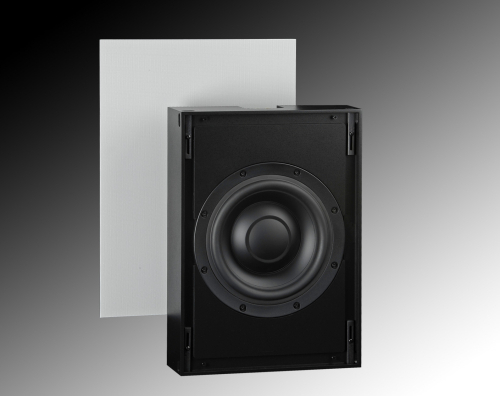 Designed for easy mounting, the OnWall Silver Sub comes with isolation brackets mounted to the solid, sealed enclosure. You can have great performance right out of the box in nearly any room. Where there is at least 9″ of depth; in a false wall, a cabinet, or behind cloth wall systems; the OnWall Silver/15 Sub is the one answer for powerful yet invisible bass. 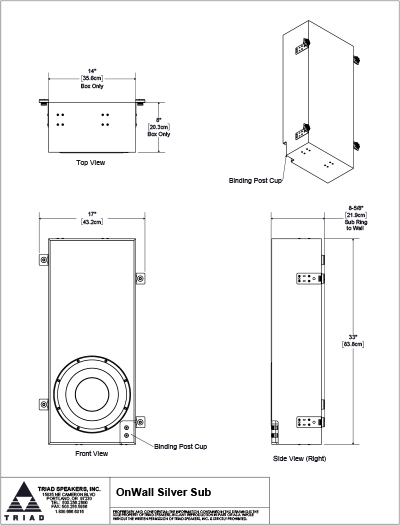 Designed to be used behind cloth wall systems. Amplifier: Rack (1 space) mountable 700 watt DSP RackAmp. • Slope adjustments for all filters at 12, 24, & 48 dB/Octave. 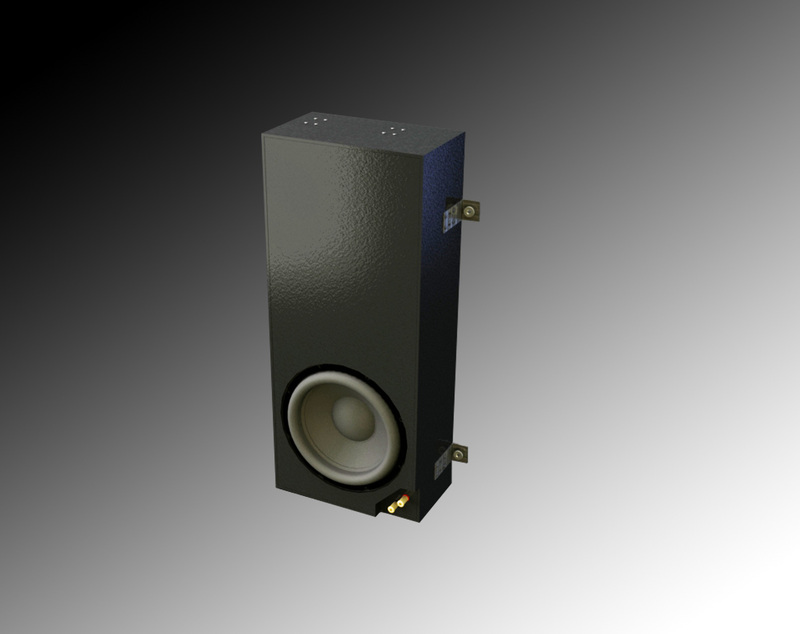 Triad’s Basic & Custom Finishes are available for this product. 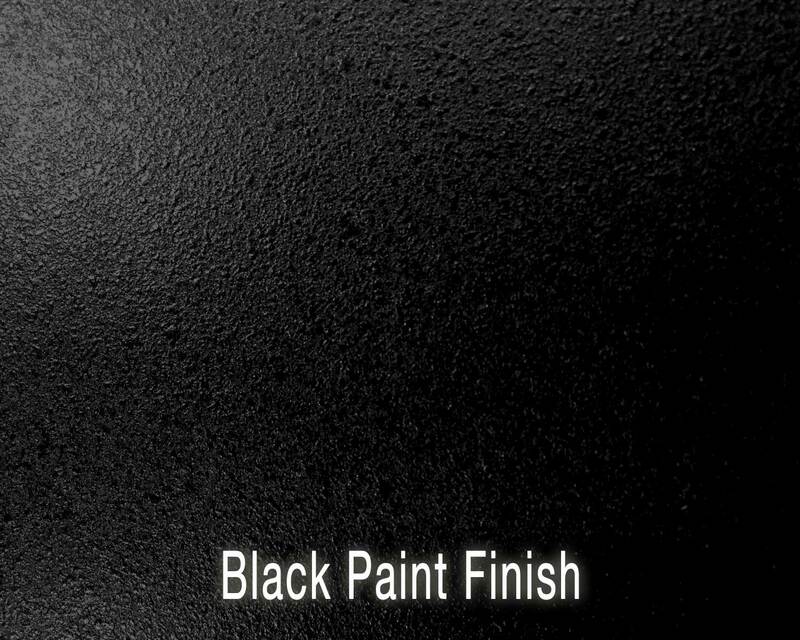 The standard finish for this product is Black paint. 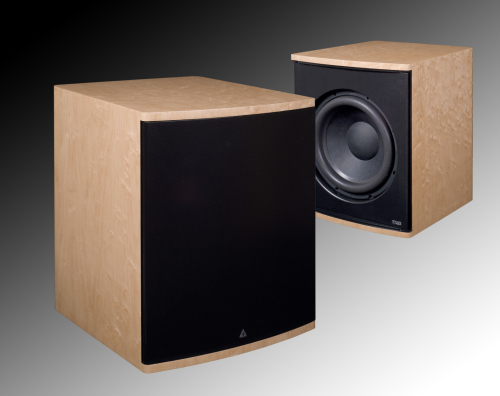 For any other colors, please refer to Triad’s Custom Match Finish program for this product. The paint we use is a top quality enamel and is applied with a light pebble finish.